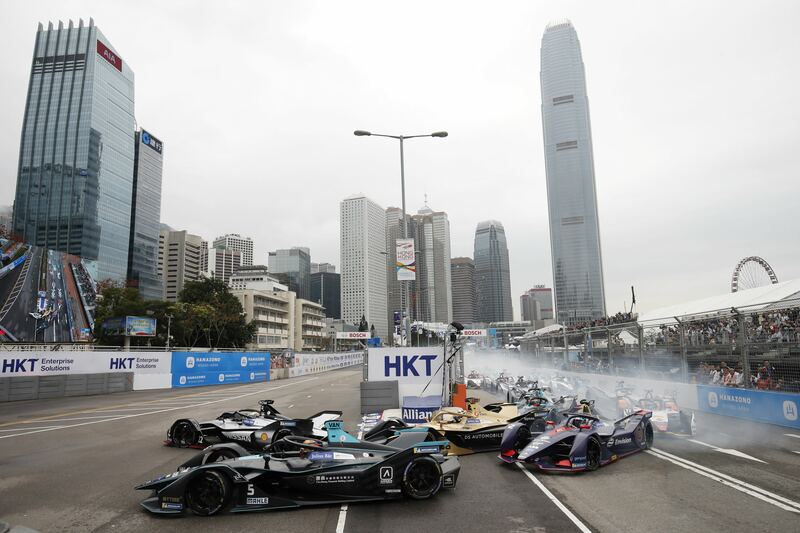 The Hong Kong E-Prix was the 50th ABB Formula E race, but it was a race of many firsts: the first Pole Position for Stoffel Vandoorne and HWA, the first time Andre Lotterer has led an E-Prix and the first victory for Venturi and Edoardo Mortara. 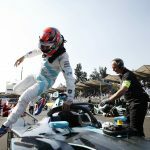 After Sam Bird was penalised for a move on Lotterer, Mortara inherited his maiden Formula E win. We now take a look at the facts and figures behind the days racing in Hong Kong. – The Hong Kong E-Prix has become the first race to see a total of two red flags (with Race 2 Season 4 also having a red flag). – For the first time since Punta del Este Season 1, a Formula E race saw four safety car periods. There had not been three Safety Cars in a single race since Mexico City Season 3. – Before this weekend, Venturi’s record score in a single E-Prix was 24, set in the second Hong Kong E-Prix last season. With Edoardo Mortara’s victory and Felipe Massa’s personal best fifth place, Venturi scored 35 points. – Andre Lotterer managed to lead 27 laps before his puncture, this now means that DS Techeetah have become the fourth team to lead over 500 kilometres in Formula E.
– Even though the Hong Kong Central Harbourfront Circuit is 1.860 kilometres long, and the shortest so far this season, Practice 1, Practice 2, Qualifying Groups and Super Pole all had the largest first to second gap this season, for each session. – Mahindra drivers only managed to complete a total of two laps in Hong Kong, which is the record least laps completed by a team in a single race. Championship contender, Antonio Felix da Costa, managed to make up ten places in Hong Kong to take a point from the race, he now sits only seven points behind championship leader Sam Bird. For the second race in a row, Mitch Evans managed to make gain ten positions, to claim consecutive seventh place finishes. The Kiwi is now only one of two drivers to have finished in the top 10 of all five of the races this season. This now means that Jerome d’Ambrosio, Lucas di Grassi and Robin Frijns all hold the record for the total net positions gained in Formula E (71). After taking his first Formula E Pole Position, Stoffel Vandoorne was in contention for a podium until his suffered driveshaft failure, losing him a total of 15 places. This makes the Belgian the only driver to have retired three times this season (twice when starting in the top five). This season, Sebastien Buemi is the only driver to have qualified in the top ten for every race, and as a result he has the best average qualifying position (4.4). Buemi has been so consistent in qualifying that the next driver, Pascal Wehrlein, has an average of only 7.8. So far this season 17 drivers have made it into Super Pole, which already equals the record for the most in a single season (equal with Season 3 and Season 4). Unsurprisingly, Buemi has the most Super Pole appearances, four, only missing out this weekend in Hong Kong (where he qualified eighth). Of the 20 drivers to have taken part in every race this season, Tom Dillmann is the only driver to have not qualified in the top ten so far. The NIO driver’s best start is his eleventh place start from this weekend. Jerome d’Ambrosio, who sits second in the championship, has failed to qualify higher than the back two rows of the grid over the last three races, having qualified 20th, 19th and 22nd. Edoardo Mortara has had to wait 14 races until his first Formula E victory. The Swiss driver is the first driver to claim his maiden win in his second season, with eight drivers claiming their first win in their rookie season, and Jean-Eric Vergne and Daniel Abt having to wait until their third and fourth season, respectively. Having won the first ever E-Prix in Beijing in Season 1, Lucas di Grassi is the only driver to win on his Formula E debut. 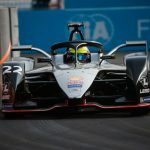 Of the eleven drivers to have claimed victory in Formula E, seven of them had claimed their maiden victory in the first eight Formula E races (which is still a record for the most victors in a season).